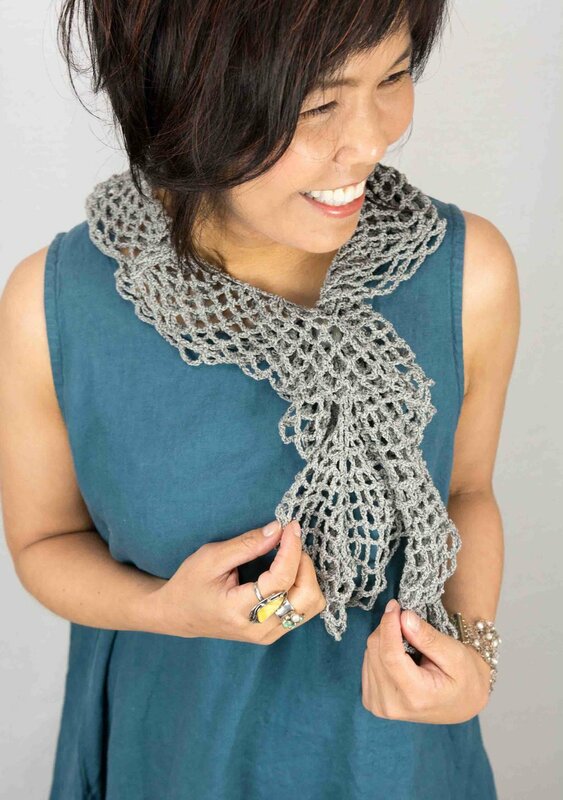 This lacy ruffles scarf is layered with 2 different sized strips and are not sewn together! First, make a larger base strip, then make a smaller strip over the first strip, joining as you go. 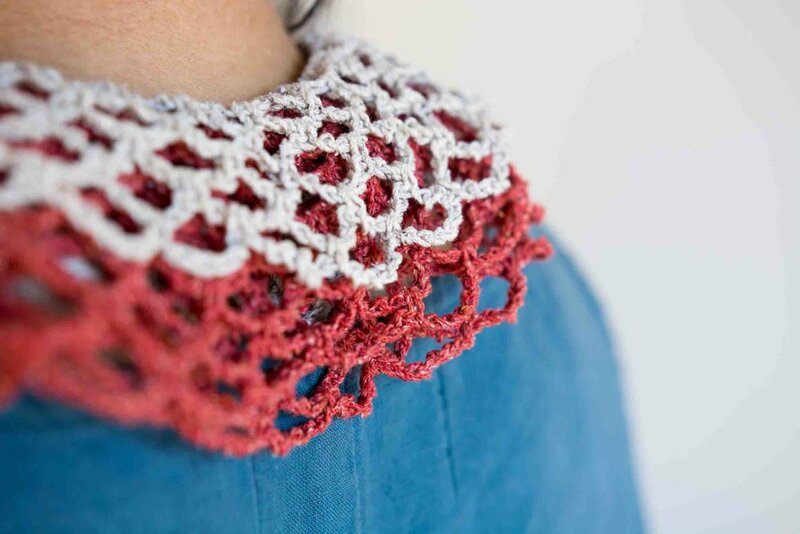 Or you can make just one strip for a single layer, and that would be a lovely scarf by itself, too. The center chain spaces are used as buttonholes that allow you to wear it in multiple ways. 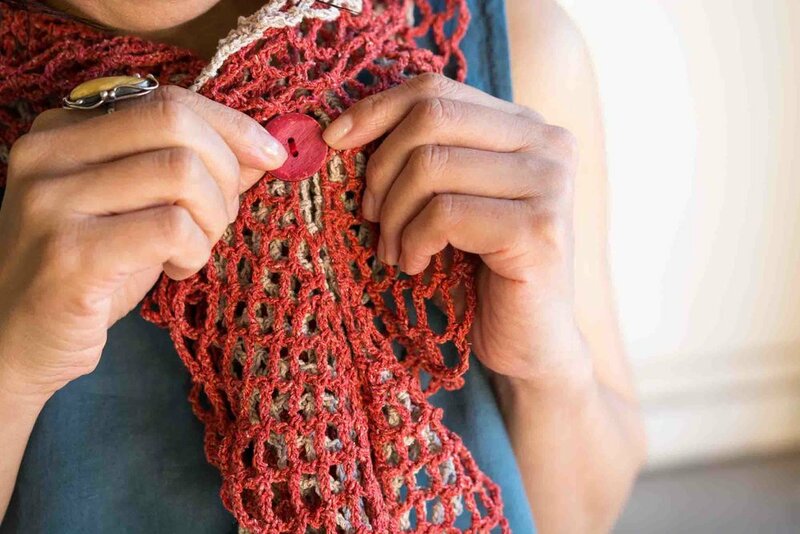 This pattern is easy to make your own original scarf. Layer two completely different fibers such as cotton and mohair or alpaca and sequined yarn. The combinations are endless! Finished Measurements Width: Approx 6" Length: 39"